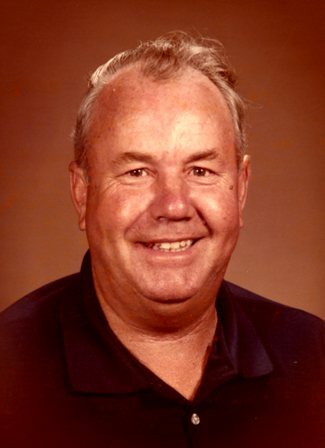 Mr. Clebert Robinson age 87, of Orlando, Ky. passed away Friday March 22, 2019 at his home. He was born on May 11, 1931 in Rockcastle County the son of the late Dewey and Sissie Leger Robinson. He was a retired machine operator for 43 years for the CSX Railroad, enjoyed camping, boating, going to church, spending time with family & friends, and was a member of the Calloway Holiness Church. Survivors are: his wife of 66 years; Mrs. Oneida Clark Robinson of Orlando. Two sons; Mike Robinson and (Barb) of Maretburg, and Roger Robinson and (Rhonda) of Orlando. Two grandchildren; Kyle Robinson of Orlando, and Kassandra Barnett and (Trever) of Mt.Vernon. Two great grandchildren; Connor & Waylon Barnett of Mt.Vernon. Two sisters; Cleo Winkler of Covington, and Matty Burns of Lindon, Tenn.. In addition to his parents he was preceded in death by: four brothers; Cecil, Ed, Bub, and Paul Robinson, and by two sisters; Evelyn French, and Ester Mahoney. Funeral services for Mr. Clebert Robinson will be conducted 2 PM Monday March 25, 2019 at the Cox Funeral Home with Bro. Phillip Doan officiating. Burial will follow in the Briarfield Cemetery. Arrangements are by the Cox Funeral Home friends may visit from 6 to 9 PM on Sunday.